It’s not a controversial idea that the NBN could have been better. Right from its conception, the people responsible for the development and roll-out knew that 5G technology would most likely coincide around the same time as when the NBN would be ready. Yet 5G didn’t factor into NBN plans at all, and even today NBN advocates are strangely reluctant to let 5G play any role in providing services to homes that are still not NBN ready. Even though some might argue that the NBN ship has sailed, Optus is not quite prepared to give up. In some properties, fixed line NBN services are impractical, meaning there are a significant number of locations in Australia that either will not have NBN capability until fibre or copper lines have been upgraded and put into place, or that will be forced to rely on the 4G network. Optus are suggesting that the NBN skips the time and expense wasted on upgrading fixed line infrastructure that is already becoming obsolete and moves straight to plans offering 5G as the medium for NBN services to these properties. According to Optus, using the 5G service would be quick, reliable and easy to set up. NBN Co would be able to purchase wholesale capacity from telcos, who would then compete among other retailers to sell plans back to the 5G-connected homes. How do these two relate? The fourth method of delivering internet – wireless technology – is the most logical area in which 5G can be applied. Currently, the NBN is basing the wireless part of their network on 4G technology using existing infrastructure. However, when 5G comes it is expected to be exponentially faster and more reliable. Many of the other NBN options, such as ‘fibre to the node’ could potentially be improved upon by using a 5G network. About 8.77 million homes and businesses in Australia are ready to connect to the NBN as of March 28. The remaining three million premises should be ready to connect by the end of 2020. If 5G and NBN had been developed together, the Australian government could have assisted telcos to define and adopt 5G standards, which would then allow them to tailor the NBN around these standards and make decisions about necessary infrastructure. Even while the NBN was being developed, the technology and infrastructure underpinning it were becoming obsolete. With 5G enmeshed in the original plans, the NBN would be moving into the future with the latest generation of network, instead of providing poor competition. 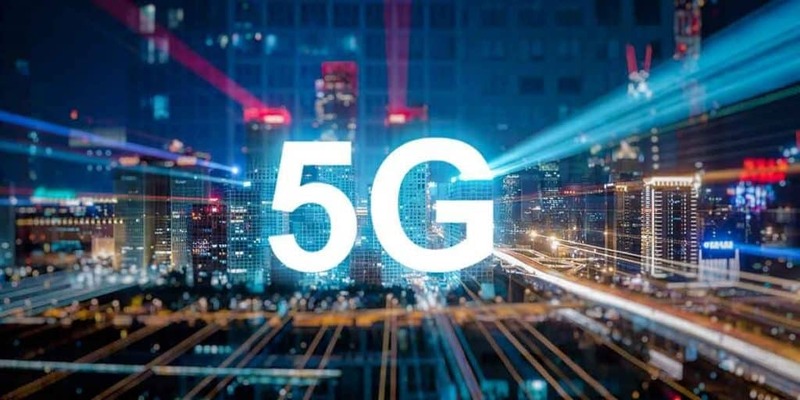 Optus have called for changes to the current systems that are slowing down 5G development – simple ideas such as compressing the current three-stage approval process into one “consistent, uniform national scheme”. With the NBN Co. on board, both areas could have benefited. Now they will likely stand in competition with one another. Sadly, it seems as though Australia has missed the chance to design a network worthy of the future, and instead, is relying on older technology to somehow provide new generation speeds. Obviously, this is not happening. Just as with the Energy Policy, Renewables, AI and the many other ways in which the world is dramatically changing, Australia’s lack of vision and willingness to take a concerted, bold view of a path forward has left us mired in compromises that have ultimately manifested in an NBN which does not do what most of us hoped it would. 5G is coming very soon, but instead of enabling and supporting the NBN, it will most likely become its rival.